He perfectly understands people who are in a hopeless situation, because he once thought that I am like that. But now I know it was not true. Of course, there is no such thing. I was stuck in the illusion. My reality was a reflection of what was in my mind. In fact, we see a reflection of what we are. We often play in the so-called. Personal development, but we don’t really have a clue about it. With visualizations, affirmations try to attract the perfect partner, the car and what does not go? Ojoj, how sad it is. How low fell if we can not bestow a person on the street a sincere, selfless smile? We want to attract, and we cannot establish a natural agreement with the “relay” of the Universe – the second man. … Yet all these mental toys are meant to help us discover our true identity, our innate right to joy and love. So what do we want to do by practicing the Lotus position all day long, since we can’t sincerely welcome your friend, or with a smile, delete the ticket on the bus for the other person? For what do we all these exercises, practices, since we can not move to the backlash? Don’t pretend, but really get chilled. Where does our joy from our experiences work? They start with comments that it’s baloney that it’s a good deal for the people who posted it and this type of similar stuff. People begin to judge the secret as a book while novelists writing literary gnioty sell the same way. Who then wypomina the marketing and promotion of their creativity? Called. The secret or idea of the law of Attraction is a wonderful, true concept based on the fundamentals of human development, additionally perfectly presented and superbly packaged by its creators. So why do people who have come to know the secret and Law of attraction, but still do not deal with each other and their lives psioczą later on? They begin to cling and down as if this rebellion were to be their last resort, which will change something in their lives. I am receiving letters from people who are in the so-called. 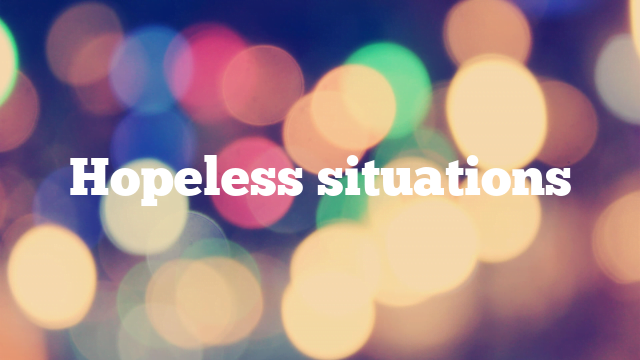 Hopeless situation, however, what can I do? I have to drive to each of these people and talk to her about her problems because she has collapsed her life? I have her say that przywiozę her bag of money, food, health (type what you want)? What I should do is write them the truth! That they are responsible to come out of their comfort zone when the opportunity arises to odpuścili when they need to truly open on people and the universe. What about that I’ll be good for someone? The good has its strength if it comes from a sincere heart. I like to be charitable to our own development, but this charity will not develop as a second person as inspiration. How many begging looked differently to your life, thanks to Zloty received from the other person? How many of these people were inspired by this inspiration to repair their lives instead of focusing on the continued consumption of the donations? The most important goal of man is his spiritual development, that is, learning about his true identity. The more someone claims that his situation is hopeless, the less he has met himself. The more happy someone feels, the more spiritually he has evolved and understands life. And here you can not write anything else. So is the dot. On the other hand, there is no point in blame for anything, because it is fruitless. When I felt that my situation was “hopeless” I did not reject the acceptance of stuprocentowej responsibility for what my life looks like. I really have not blamed or held responsibility on anybody. Neither on the work system nor on the state, nor on the parents, on anyone. I took responsibility for not completely and it changed. I encourage everyone to do the same. At the end of one more. Thousands of people all over the world came out of the so-called. Situation by knowing the law of Attraction. Is the proverbial “piece of bread” that these people needed to do in any comparable way change their life situation? Look real to life to look through the prism of the Law of Attraction. There is no other option. But to use them wisely you need to stop yourself cheat and be hypocrite building only castles on the sand. You have to truly discover yourself and what you really want. If you do not want in the future to be Zgorzkniałym Zgredem not able with a smile to look at life then you have to not open it now. That means you have to get out of your hollow and show the world what you get. If you want to see the miracle and the magic of life, then you need to stop being someone who passively waits for the rain with sadness on your face. Let the rays of sunshine touch all your days. I wish you this with all your heart! I wanted to tell you that I adore you for what you do and what you write. I am really eagerly looking forward to new messages from you – it was awfully bad for me a few months ago that I was rare. I read everything from board to plank, always in depth analyzing. And that’s what I really wanted to write today – and what is the confirmation of this post – it is that on my own example I confirm it that I want, but not addictive works miracles! I went through the whole mind purification course – phenomenal! I can not say that all I already know and I can – I mean technique – because all the time I practice and all the time I learn. But what he wants to emphasize – especially all the skeptics, reading this blog – that the biggest secret of the law of attraction is true! During the course I felt such internal happiness, such peace, such optimism-even though my wallet was empty (Puściuteńki completely), the problems of mass (and not so much so G…)-that nothing was irrelevant to me, it was just a well-being. The problems were like mine, as if they were somewhere next, and somebody else had to worry about it, and I was (mentally) somewhere away. Suddenly, within a few days, I attracted to myself from nowhere really – a few hundred dollars. Not to be gołosłownym: I had in my Pocket 2 zł-I went to Kolektury after the fate and won in Zdrapke 50 PLN, the next day, also in Zdrapke another 50 PLN, the next day in Zdrapke another 100 PLN, then zmianiłam tactics and sent a coupon in the Lotto-won about 200zł. Here I will add that later, unfortunately, I allowed the other event to zaprzątnęło my head – again I fell into disbelief (or even doubt) but expectation – and I went back to the point of departure. Well, everything went…… in away Dal…. What for me is the added value of this event is that I experienced it myself and know what’s going on. I still do not claim that it is easy – absolutely not – but it works!!!! I don’t even know how you thank for this knowledge. You have indicated the way. The rest of course depends on me…..
Here’s one gold rule that never changes — your thoughts and feelings create your reality — there’s no derogation. The better you feel, the better it works for you the Law of Attraction. I once succumbed to my negative feelings, determinowały my life, and now I purify them and look forward to inspiration – this is my life revolution. This approach allowed me to leave the mental mud in which I was necked. I began to change my thinking and my life also began to change in every realm. With the sacrifice I felt through my mental disability I became a person who did not believe that anything was impossible. I stopped holding anyone for how my life looks and I took 100% of my responsibility. I stopped afraid and thought about dreams and started to meet them. Besides sensational and simple methods, which describes in the purification course of the mind, almost in every post you will find a rule, which is confirmed not only in my (describes them in different places), but also in your experience. You are looking for a golden measure, rules. Ask yourself how you feel? The Law of attraction will answer you.